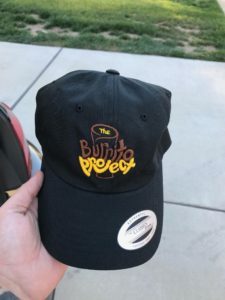 We have new Burrito Project Baseball Caps available in Men’s & Women’s Styles and we’d love for you to wear one today! It’s yours for a $20 Donation. Please let us know if you prefer the men’s or women’s style.